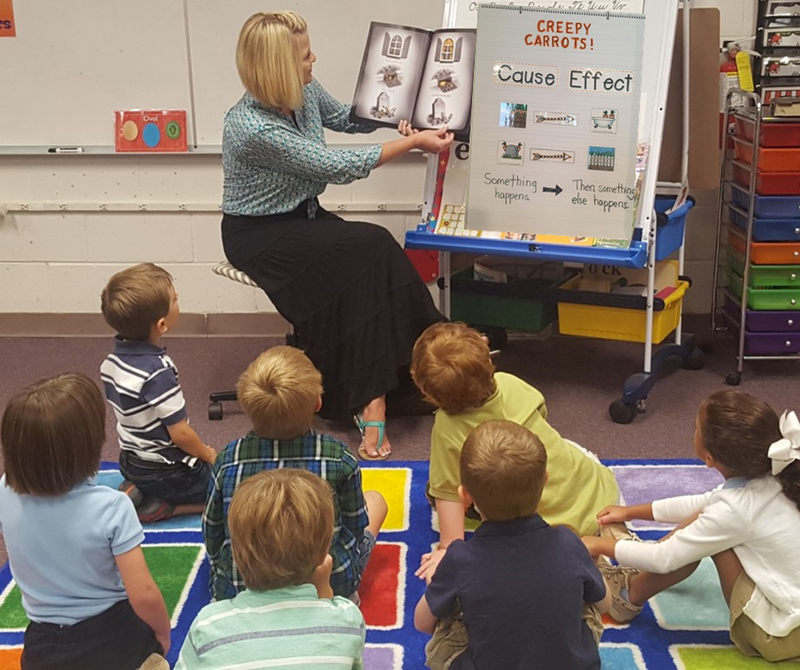 Teacher read alouds are just as important as giving students time to read independently. 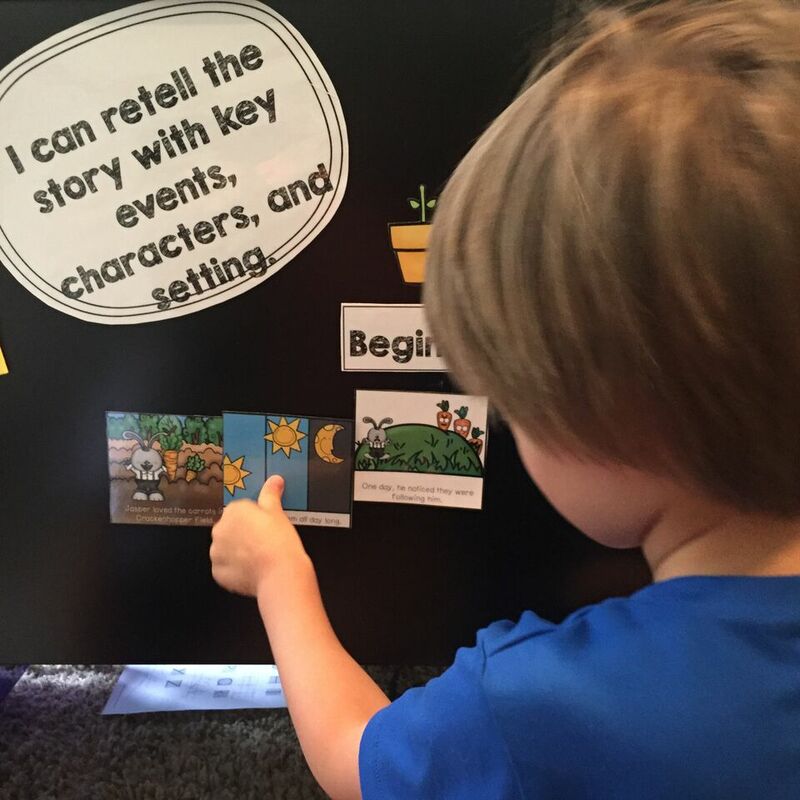 Read alouds take the student’s focus away from having to decode the words and gives students a chance to really hone in and focus on the meaning of the story. I love it when I read a story to children, and they love it so much that they beg me to READ IT AGAIN! think deeply about the story and discuss it with their peers. 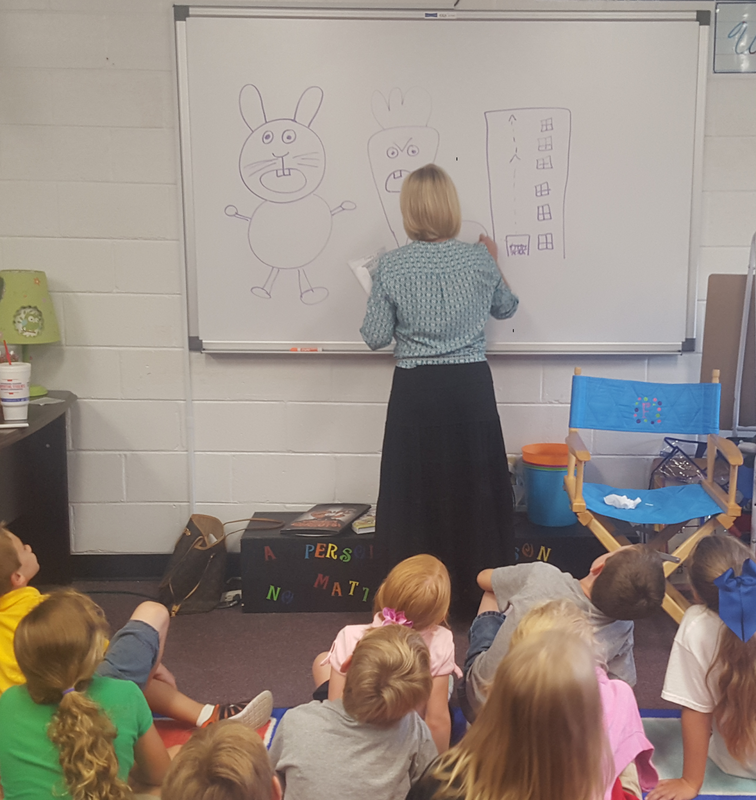 respond to reading through writing and drawing. In our Guiding Readers units, we’ve developed a reading program that does all of the above! We read part of the story and then stop to give them a chance to predict what they think will happen next. In kindergarten, most of the meaning will come through drawing this early in the year. This little sweetie thinks that the carrots will get stuck in a pit. So she drew a picture and wrote the word, pit. 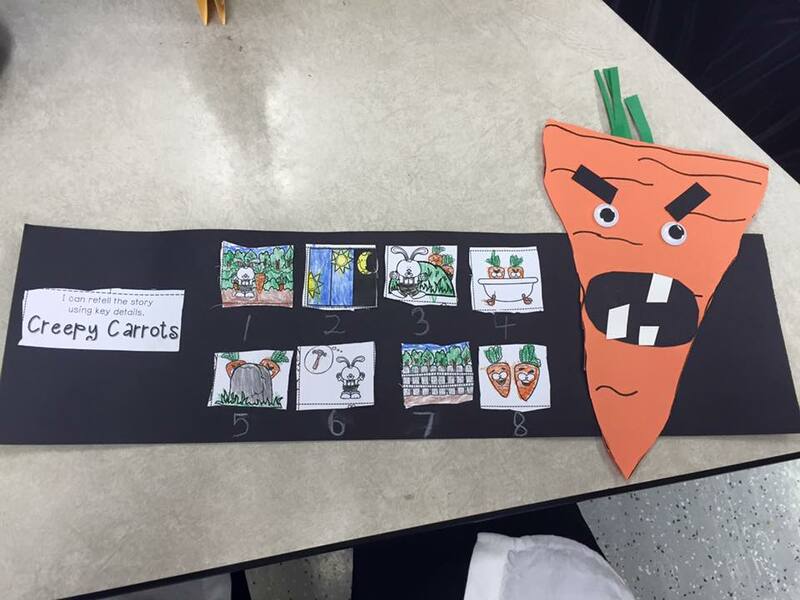 These are differentiated so that the students who are ready for more can do more. 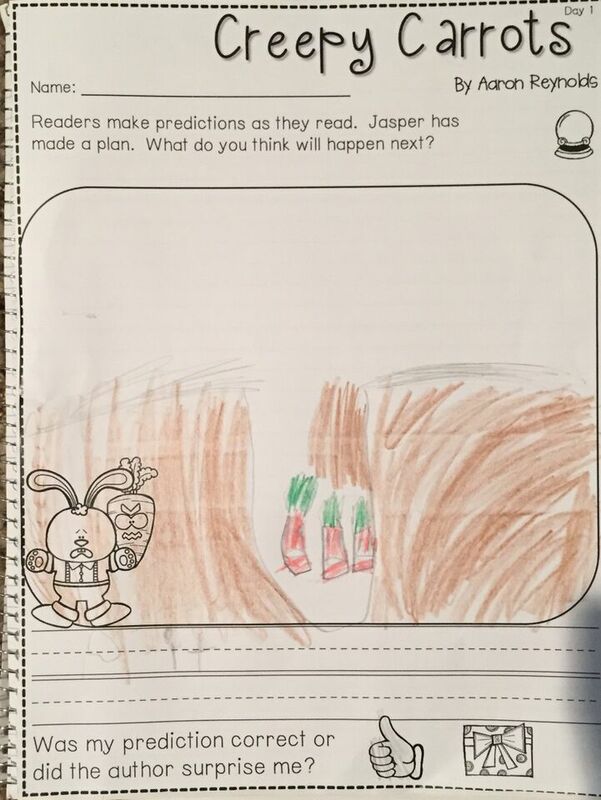 Her prediction says, The Creepy Carrots will get stuck in the pit. 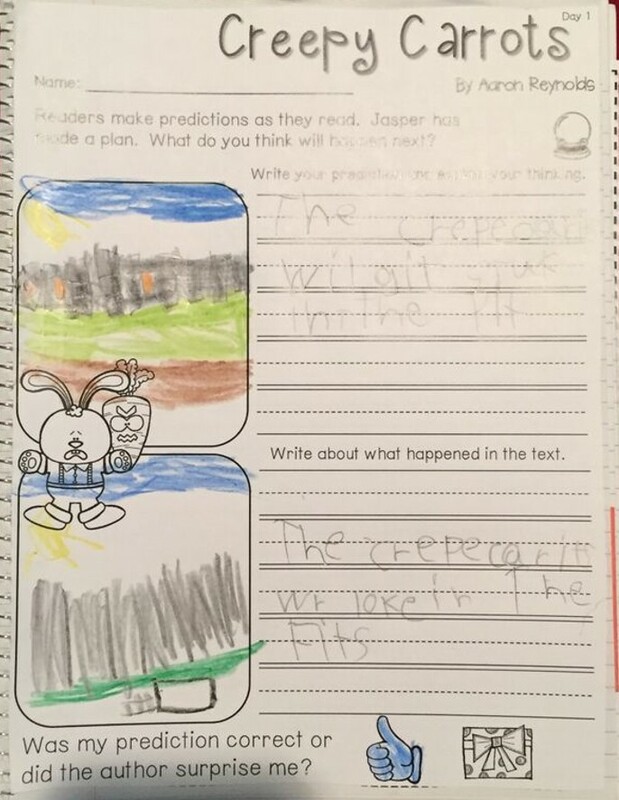 This version then asks them to write about what happened in the text. 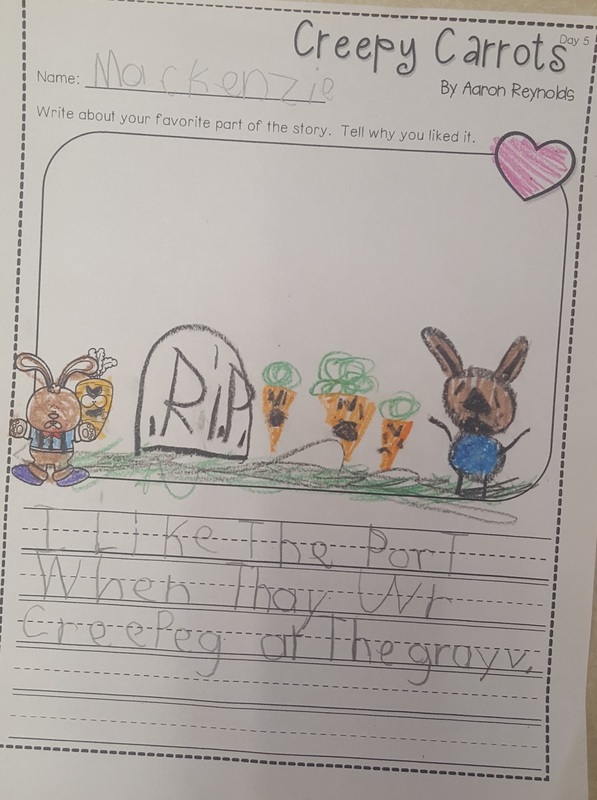 She wrote, The Creepy Carrots are locked in the fence. On Day 2 we read the story again and focus on retelling. We work together to complete the retelling and then the kids do it independently. On another day, we wrote about our favorite part of the story. Upper left, I like the part when they were creeping at the grave. Lower left, When he gets scared. Lower right, I like creepy carrots when they suddenly reappear. Depending on the story, we work on inferencing, comparing and contrasting or making connections. Creepy Carrots is the perfect story for working on making connections, because we’ve all been scared at one point or another. We know that some of our boys will say, I’ve never been afraid. (yeah, right. Weren’t you the one hiding behind me last week when there was a spider in the room? haha!) We worded our question with that thought in mind. The paper says, Readers make connections. In our story, Jasper was really afraid of the creepy carrots. Write about a time when you or someone you know was afraid. Upper right, I have been in a tornado. It was scary! Lower left, My mom is afraid of heights. Notice that the one on the right looks totally different. We wanted to also provide a solution for those of you who are limited on copies. These are made to fit in a composition or spiral notebook. The writing on this page says, I was afraid of the Tower of Terror. We are so proud of these units!!! 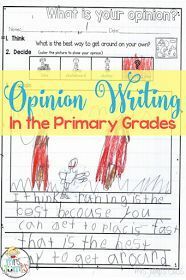 Giving students the opportunity to respond in writing makes their thinking visible. 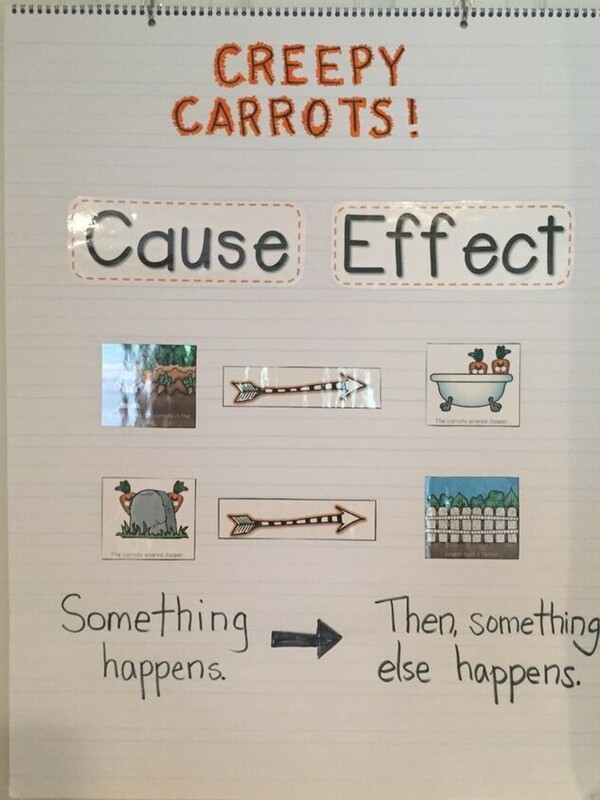 This is also a great story to use for working on Cause & Effect. 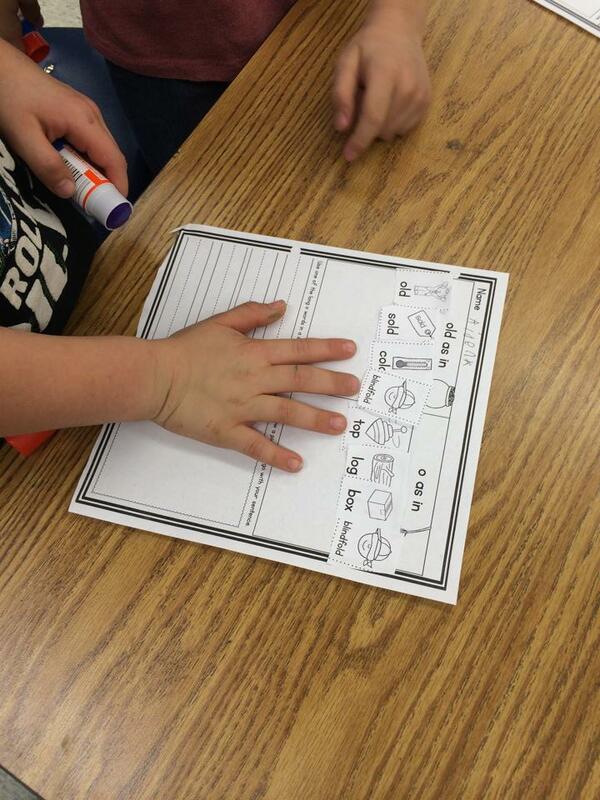 Show your students how to draw the characters in the story using simple shapes. Please, I’m begging you…Don’t spell for your students and don’t correct their spelling. I know it’s hard, but we are building young authors and if you do either of these things they will STOP trying and rely on you! You can read more about my philosophy of writing here. It isn’t necessary to read the book EVERY day! We use the same book for five days. However, we usually only read the book all the way through two times. Each day we focus on the page in the story that correlates with the comprehension strategy we are working on. 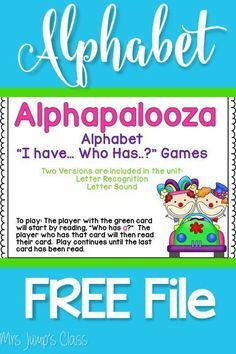 What about phonics skills? When do you work on those? 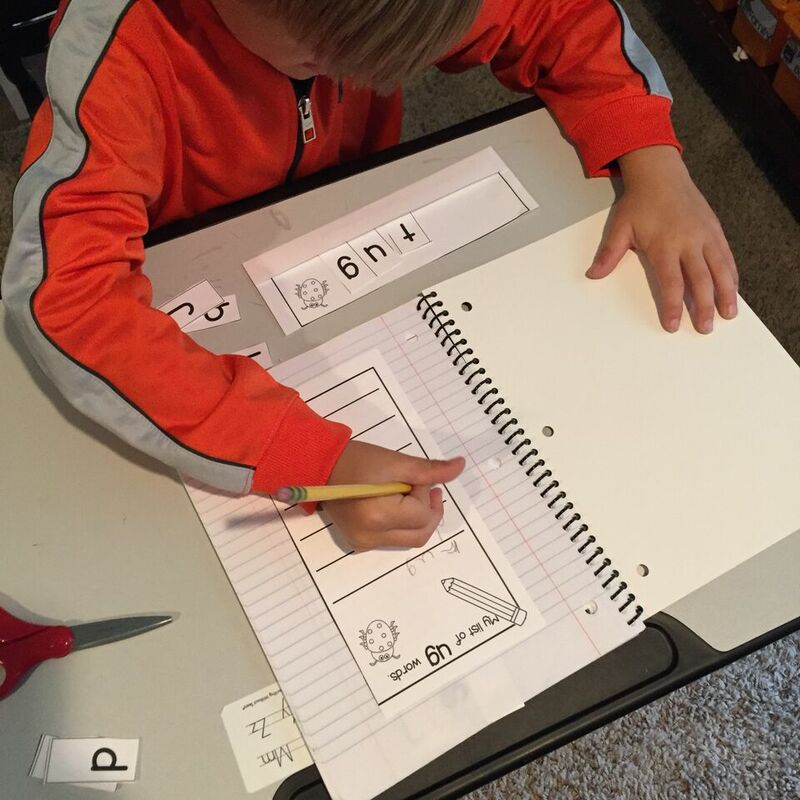 We work on phonics skills during the Interactive Writing portion of the lessons and we also have word work included in the units. You can be flexible and do the word work during the time of day that works best for you! Yes! 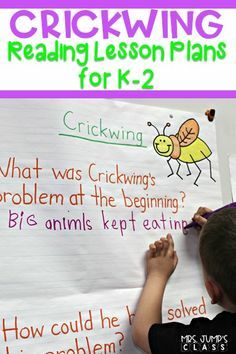 We do that in our Guiding Readers Science Math and More units. Our STEM challenge was to build a trap for the carrot and analyze the trap. 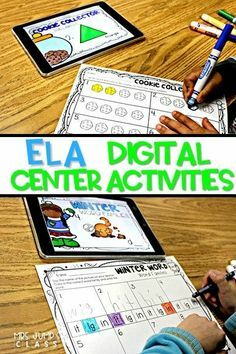 We also have two math and literacy centers. This is great for multiple grades or when you need differentiation. The same is true for the easy printable tasks (2 levels in ELA and Math). I'm not teaching at the moment but reading this just makes me want to be back in the classroom! I have a difficult time fitting this into my schedule. My day is so packed! And my language arts block is basically group time. We have an assistant for 1.5 hours and must do 4 group rotations. How much whole class time do you have for language arts? That is music to our ears! These units were definitely a labor of love and we keep adding to them to make them even better. They now include grammar lessons, sentence study lessons and a craft for each book. Thank you so much for your sweet comment. We really appreciate it! I couldn't love your Guided Reading Units more! My kids look forward to it every day. Thank you for another wonderful resource! I teach junior high ELA in a district which did not allow for teacher read alouds. (I know! How crazy is that?!?) Instead, all reading instruction–heck, MOST instruction–was done by following a "research based" script exactly. Needless to say, when my students arrive in my classroom in the fall, most are NOT huge reading fans. I carve out time for reading aloud to my dumplings who have previously missed out on this joy. Even though they are adolescents, they LOVE it and many assure me that it is their favorite time of day. 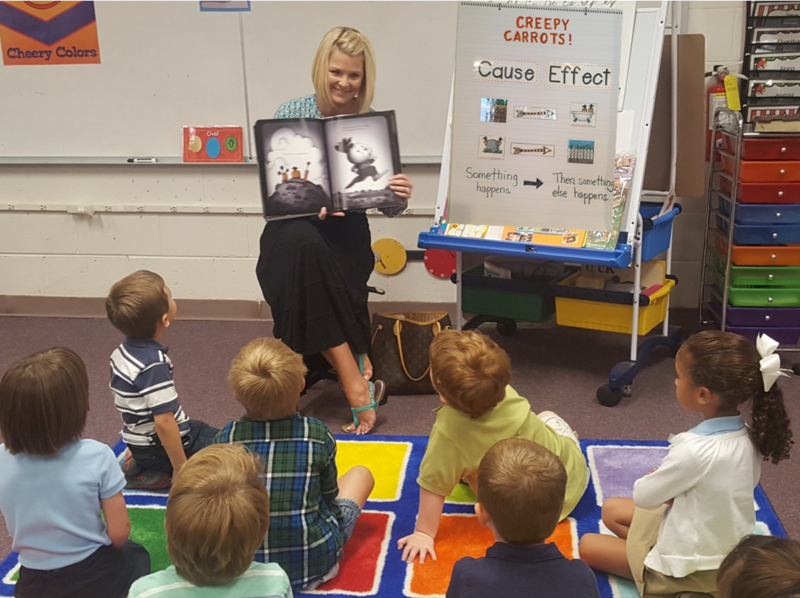 🙂 I take many of your ideas and adapt them for the age group I teach, and sometimes we go ahead and read the picture books, too. 🙂 Thank you so much for sharing all your wonderful ideas and inspiration! Oh, my goodness! I am so glad to hear that you are reading aloud to your junior high students. What a wonderful way to continue to cultivate their love for literature! I love this post! 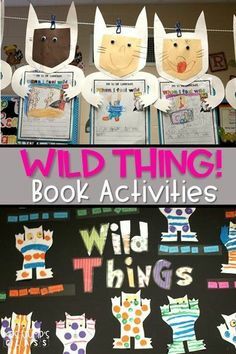 I am really looking at making my interactive reading block more engaging and beneficial to my students. Tomorrow I is when I have been planning on really starting this routine and focusing on this part of my day, so this post was perfectly timed! This has inspired me to really spend more time with one book and take time for the students to write about the book I am reading. I am curious if you are using this as the backbone to your overall reading instruction or if this is its own special time of the day and your main reading/literacy instruction is at a different time? Additionally, how long does each lesson take? Do you have the students sitting at the rug with their paper and pencil writing while you are reading or do you read then they write later? Thanks for sharing! I can't believe your students are writing like that now! I'm sure if I had my own class all day, that they would be close to that. We are on day 32 and the kids can't even read simple sight words let alone write them. There are several who cannot write their name. My sharpies still really don't understand how to stretch sounds after I have been doing it whole group for awhile. I model for them, but all they want to do is draw pictures and not even try words. It doesn't help that we have learned only 11 letters and many can't recall them. My coworkers believe that kindergartners should not be expected to write until possibly the last couple months of school, and the other language arts teacher just now started introducing sight words. 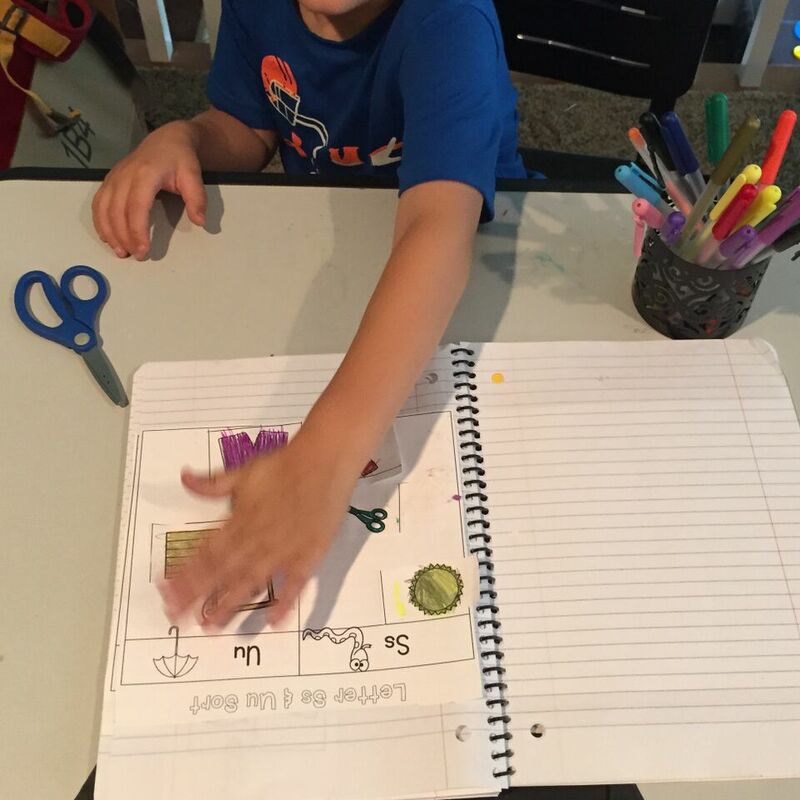 I love your guided reading activities! I can't even begin to tell you how much your guiding readers program has changed my classroom. My students are comprehending better than ever! Thanks for all your hard work!! 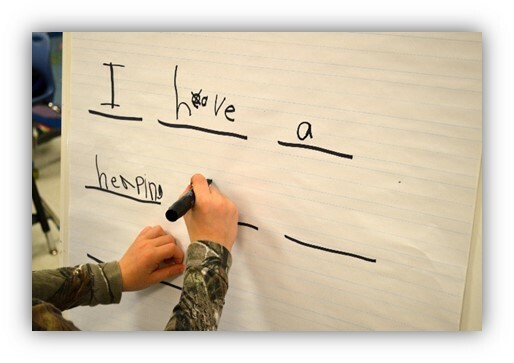 During interactive writing, do you pick a new student to write each word with guidance by you and the class? It's also fine if it a word is misspelled/inventive spelling? Do you sometimes have your students copy the interactive writing into their notebooks for the lesson? Thanks for sharing the steps! This is a great resource! This giveaway is the bomb diggety!!! Thank you for making my life so much fun with your ideas! The author of Creepy Carrots visited my school. He is amazing. I love your ideas. I love your guided reading units. 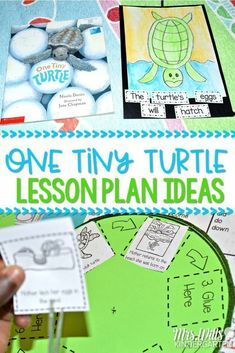 I have used so many of your ideas in my class. You are a blessing to my students and I! 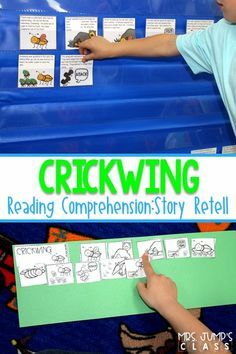 I love the Guiding Readers units you have created! Thank you for sharing your personal tips for implementation!!! I love reading aloud to my students! I look at every book I read aloud as a 'book blessing'. When I choose a book to read, it is telling my students "this is a good book! Let's read it together and then you can read it on your own!" These books tend to be the ones checked out from the book nook with regularity. 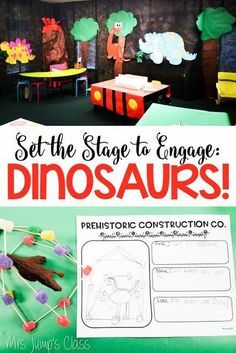 I would love to have this awesome package as part of my reading block. I work at a low income school, and many of my students are not read to at home. Having this would improve all reading skills greatly. I don't think I can purchase the set now, though. You did a wonderful job creating this!